Foodtest Laboratories Ltd provide a comprehensive microbiological testing service. All main pathogens associated with food can be tested for alongside indicator and spoilage organisms. The following is a list of the tests that are available as well as more information on the specific organism. 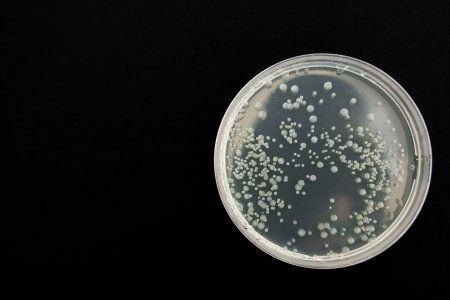 The results of this test provide an indication of the microbial quality of a product during its shelf life. Counts can range anywhere from <10cfu/g or swab up to the millions or even billions. A product nearing the end of its shelf life will have a higher T.V.C. than it did at the start of its shelf life. The quality can be determined by cross referencing the results against the type of product and its production process. Coliforms provide an indication of whether the product or swab has come into contact with any faecal material. The count is used again to give an indication of product quality and this result can also give an indication of the hygienic condition at the place of manufacture. Although still an important test it is now common practise to use Enterobacteriaceae as a faecal contamination indicator. Enterobacteriaceae provide an indication of whether the product or swab has come into contact with any faecal material. The count is used again to give an indication of product quality and this result can also give an indication of the hygienic condition at the place of manufacture. This test gives a more realistic picture of hygienic practices than the Coliforms test. This test again gives an indication of faecal contamination and general hygienic conditions in the manufacturing environment. The results of these tests give an indication of product quality and can be used alongside the other tests to determine whether a proposed shelf life has been achieved. This foodborne pathogenic organism is particularly important in dairy products and may cause severe illness if it is allowed to increase in numbers during a products shelf life. An organism that can be important in dairy and meat products. The count will give an indication of product quality. Another organism that can be used to determine product quality especially in raw meats. 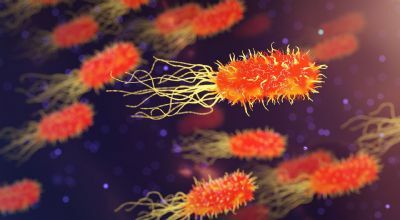 This pathogenic organism can cause 2 types of illness if it allowed to increase in numbers and is associated with rice, pulses, beans and herbs. A pathogenic organism that will cause illness in products in sealed packages. This organism will only increase in numbers where there is an anaerobic environment. A faecal indicator organism that is used to determine product quality. Listeria monocytogenes is a pathogenic organism and if consumed in high numbers (>100cfu/g) may cause severe illness. This organism causes the disease Listeriosis and has a high mortality rate. This test is usually employed following a detection result. This well known pathogenic organism is thought to have a very low infective dose (possibly 1cfu/g) and is known throughout the world for causing severe illness following ingestion. Listeria monocytogenes is a key pathogenic organism in chilled foods and the environments where they are produced. It has a very high mortality rate (>25%) and the infective dose is considered to be >100cfu/g by the European Union. This pathogenic organism is considered one of the most abundant food poisoning organisms. The infective dose in unknown. It is a particular problem in poultry products and raw meats. This detection test gives an indication of small traces of faecal contamination (<10cfu/g). This organism is well known throughout the world due to high profile cases where there have been numerous fatalities following consumption. The infective dose is not known but is thought to be low, however it prevalence is rare. This disease is most often associated with eating raw or inadequately cooked seafood or any food contaminated by handling raw seafood or contaminated water.